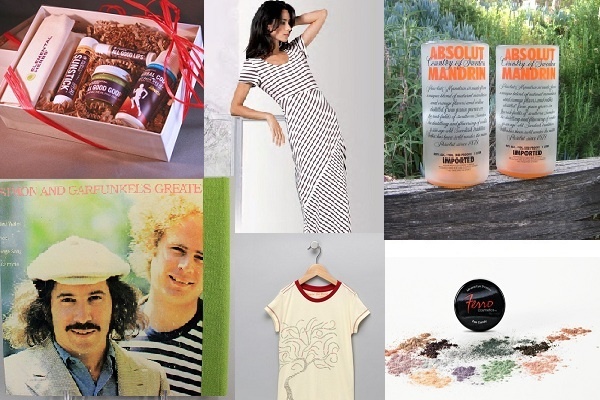 Gift Giving Returns with the Spring – Make it Eco Friendly! Just when you think you are out of the woods with gift giving, the spring season returns with all kinds of consumer driven holidays: Easter, Mother’s and Father’s Day, Graduations, and all those spring birthdays! For us treehuggers, it would be nice if we could just give the gift of love or a hug and pretend that it will make our families and others happy during this time. But while I’m sure they wouldn’t mind the gesture, they would probably prefer to also receive a new video game, an iTunes® gift card or a designer bag. If you want to stick to your green roots (and can’t afford a Prada bag anyway), here are a few eco-friendly options that will put a smile on your gift-receivers’ faces. For the wine or whiskey enthusiast, give one of these BottleHood branded tumblers. You can choose anything from a Corona juice glass to a Grey Goose recycled bottle vase or a Belvedere Vodka cheese tray from this beautiful line of reclaimed glassware. If you’ve got a fashionista on your shopping list, she might like something from the ellecante eco friendly clothing line, which features pieces like a 100% organic cotton cardigan, a silk blend blouse, or a tailored tailored jacket. Whether your gift-receiver is a trend-setter or a laid-back, hobo-style chick, ellecante has something for you to give. Don’t forget the music lovers. These Handmade Eco Friendly Journals and notebooks from Vintage Vinyl are sure to satisfy the classic-rocker or maybe even… grandma? The record cover selection is extensive, ranging from Bruce Springsteen and Elton John, to Grease and even Barbara Streisand. What if you’re looking for an eco-friendly skin product for the natural-seeking beauty queen? Try the All Good Goop moisturizer and soothing salve. Free of petroleum and made with organic ingredients such as lavender, beeswax and extra virgin olive oil, this multi-tasker can help heal cuts, blisters, sunburn, chapped lips, insect bites, dry skin and more. If makeup is what you’re seeking, I like the 8:30 Mineral Eye Liner & Eye Shadow in dark brown, by Ferro Cosmetics. This mineral shadow will last all day, whether you’re going for subtle color or dramatic Cleopatra eyes. For more shades, try one of the other Ferro Cosmetics’ eye shadows – they’re light and super shimmery – great for the spring season! Last, but never least, don’t forget the eco-kids! Children are the ones who cherish gift-giving the most, so why not surprise them with an Earth Day Winter White ‘TREE’ Organic tee by Dhana EcoKids, one of these adorableGlobal Green Pals dolls, or a pack of non-toxic natural crayons by Clementine Art for those creative kinds. They’ll have fun drawing self portraits, without the worry of exposure to toxic chemicals. If you want to give the greenest gift of all, try a e-gift card from EcoPlum! Avoid the waste associated with returned and unwanted gifts, with the added benefit of introducing your loved one to all the beautiful and stylish eco friendly products available online at EcoPlum!